Make your next vacation a bit more exciting by bringing along your dog! If you are like me, your dog is a beloved member of the family and being without your four-legged friend for the weekend just wouldn’t be the same. Luckily, Monterey County is an exceptionally dog-friendly destination with many hotels, restaurants and attractions welcoming them with open paws. First, let me introduce you to my travel companion, Darlene. 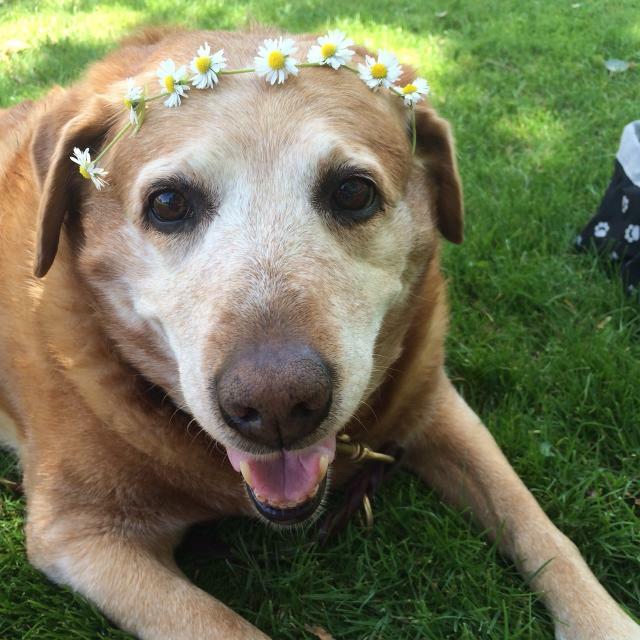 Darlene is a sweet yellow lab who loves food, the beach, cozy beds and more food. 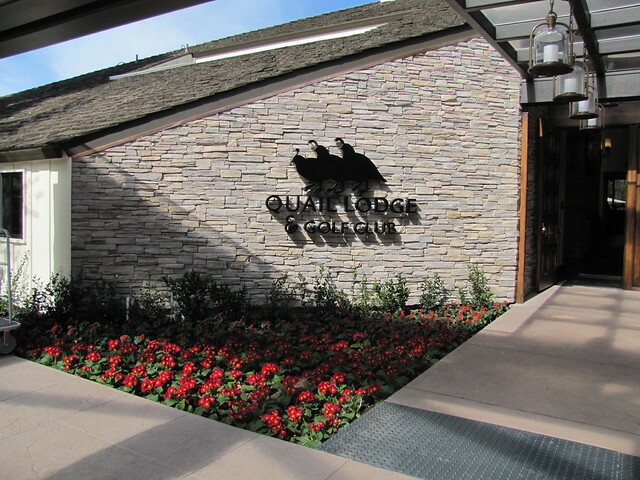 For our vacation, my furry friend and I checked into Quail Lodge in sunny Carmel Valley. 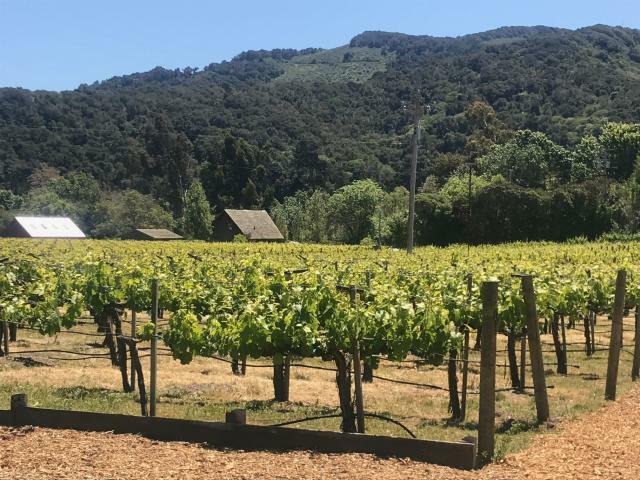 With just a quick 15-minute drive from Monterey we were transported in an entirely different micro climate and already felt a world away from home. Quail Lodge greeted Darlene with her very own welcome gift including a soft blanket, treats and a flash light that carries dog bags. After settling into our room we decided to go for a nice hike at Garland Ranch Regional Park just a few minutes down Carmel Valley Road. This popular hiking spot boasts over 4,400 acres of breathtaking views with trails varying from easy to strenuous. 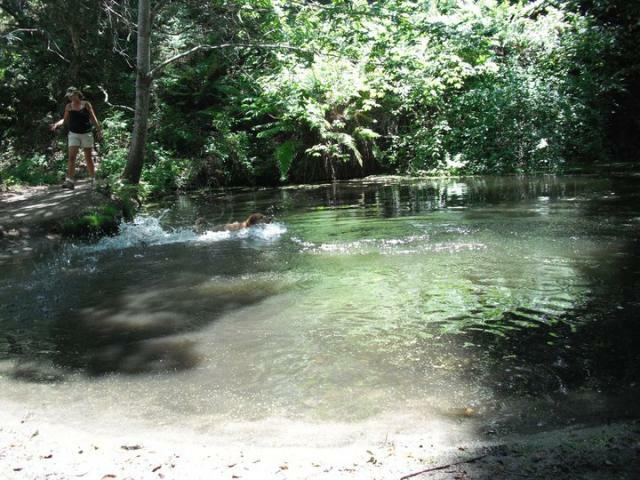 Darlene and I trekked out to the La Mesa Pond where she was able to cool off from Carmel Valley’s sunny rays. And I, always the respectful visitor, remembered the cardinal rule while visiting: that it is important to stay on designated trails and pack out what you pack in, including animal waste. After our three mile hike it was time to relax and rehydrate. We hopped on over to Folktale Winery – a Carmel Valley requisite. We secured a shady spot at the picnic table on the grass and ordered Folktale’s signature sparkling rosé and an artisan cheese board to hold us over until dinner. The waitress was nice enough to bring Darlene a nice cold bowl of water. Folktale features live music several nights throughout the week, so naturally there was some great tunes being played. After a blissful afternoon it was time for dinner, one of Darlene’s favorite activities! We went to Lugano Swiss Bistro at the Barnyard Shopping Village. Their heated outdoor patio was the perfect place to cozy up as the coastal fog began to creep in. 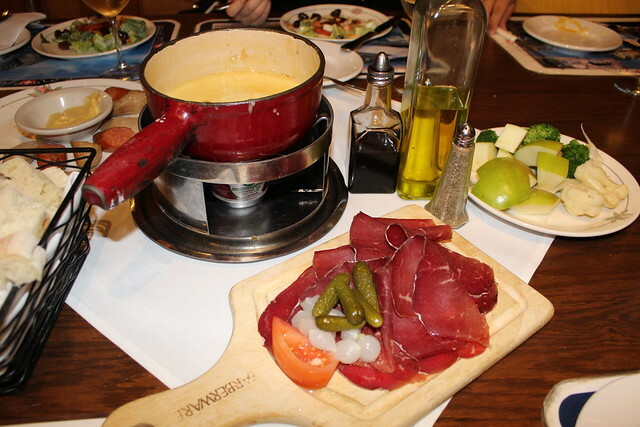 Since we were on staycation we treated ourselves to decadent Swiss original cheese fondue with three types of cheese. Darlene requested to add sausage, so we did! After our busy day on foot we were ready for a good night’s sleep in our chic hotel room. We ordered room service the next morning before checking out to really get the full vacation experience. Jessica is the Communications Specialist at the Monterey County Convention & Visitors Bureau. When not at work you’ll find Jessica at the beach with her dog.